The display “He has been here and fired a gun”: Turner, Constable and the Royal Academy tells a story of artistic rivalry, at the Royal Academy of Arts, London. “He has been here and fired a gun”. So Constable said of Turner shortly before the Summer Exhibition of 1832, and so the RA has titled the special display, in its Collection Gallery, of The Opening of Waterloo Bridge (1832) and Helvoetsluys (1832). The story, according to academician Charles Robert Leslie’s anecdote 30 years later, goes like this. It was Varnishing Day, 1832, when artists traditionally put the finishing touches on their pieces as they hung in situ, that the shot was fired. Seeing Constable adjust The Opening of Waterloo Bridge, “as if painted with liquid gold and silver”, with rich vermilion he decided to alter his own rather blue-grey seascape Helvoetsluys which hung beside. Perhaps a visual joke at Constable’s painstaking hours spent over the course of 15 years, Turner, with one dab of scarlet, gave his own canvas a completely different atmosphere. Leslie recounts that the ‘intensity of the red lead, made more vivid by the coolness of his picture, caused even the vermilion and lake of Constable to look weak’. On seeing Turner’s addition Constable proclaimed, “He has been here and fired a gun”. Turner returned a few days later to turn the dab of paint into a buoy. Leslie’s recounting of the incident anchors the antagonistic nature of the red buoy in its juxtaposition against the reds in Constable’s canvas that hung beside it in 1832. However, rather than hanging them side by side, curator Per Rumberg this year has taken the decision to exhibit the works together but facing. On entering the deep blue exhibition space, isolated from the rest of the Collection Gallery, the urge to make a link between these two pieces is clear but side-steps the impulse to make a value judgement perhaps encouraged by Leslie’s anecdote. The fact that the episode is narrated in a section entitled ‘Turner and Ruskin’ is suggestive of Turner as the protagonist here, and the spotlight on his genius. Recent interpretations, among them the dramatisation in Mike Leigh’s Mr Turner (2014) which is shown on a small screen in the exhibition, have the effect of framing Turner’s spontaneous genius as superior to Constable’s not insignificant artistic talent. By exhibiting the two pieces together but visually separately the special display succeeds in exploring a famous episode in the history of Royal Academy as an artistic institution whilst facilitating appreciation of both artists’ wildly differing works and styles. These artists are among the most distinguished academicians of the Royal Academy’s heritage and their well-known rivalry a popular topic. Tate Britain’s Fire and Water currently marks the juxtaposition of another pair of paintings that signifies the bad-blood between the two men: Constable’s Salisbury Cathedral from the Meadows and Turner’s Caligula’s Palace and Bridge. Both paintings were exhibited in the Summer Exhibition at the Royal Academy. London, of 1831, an iteration of the event a year before the clash of 1832. Turner’s pieces in the display. At first he hung two of Turner’s paintings (Caligula’s Palace and Bridge and Vision of Medea) together with his Salisbury Cathedral from the Meadows beside, all three in prime position at eye-level on the most prestigious wall. However, shortly before the opening he switched the arrangement to place his own in the centre, the best position that he had previously given one of Turner’s paintings. The exchange sparked Turner’s temper and reports of a dinner party at which both were present details his verbal attack on Constable for the perceived injustice. Perhaps this was in fact the first shot fired. Indeed, the Tate Britain has also addressed the relationship between The Opening of Waterloo Bridge and Helvoetsluys, which were displayed together a decade ago in the Tate Britain in 2009. This time however they were side by side, the first time they had been shown thus since 1832. The setting, Turner and the Masters, explains the advantage there of encouraging value judgement: the focus was Turner and his achievements. The setting at the Royal Academy within the Collection Gallery instead highlights the importance of the Royal Academy’s history, and its achievement of producing artists of such high calibre and diversity. The Collection Gallery highlights artistic training and processes, true also to an extent of the other spaces marking the 250th anniversary of the Royal Academy’s foundation. Standing in the middle the viewer can turn one way to view the impressive plaster cast of the Laocoon and his sons and turn the other to view Henry Singleton’s The Royal Academicians in General Assembly, (1795) which features another Laocoon cast (although not the specific cast now in the collection). Standing in front of Angelica Kauffman’s Design (1778-80), depicting an allegorical figure sketching a cast of the Belvedere Torso, one can turn to the right to view a cast of this same subject. The physical layout of the Collection Gallery thus goes a long way in telling the story of the Royal Academy as an artistic institution; the juxtaposition of paintings and casts suggests to the imagination a space in which artists co-existed (even if this was Somerset House rather than the current premises). The setting of the special exhibition of Turner and Constable within this gallery perhaps highlights the link rather than the rupture between these two famous rivals. “He has been here and fired a gun”: Turner, Constable and the Royal Academy is on display until the 31st March 2019, London. 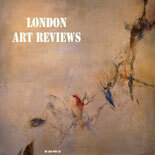 This entry was posted on March 21, 2019 by London Art Reviews in Museums, Reviews and tagged Constable, display, Royal Academy of Arts, Tate Britain, Turner.